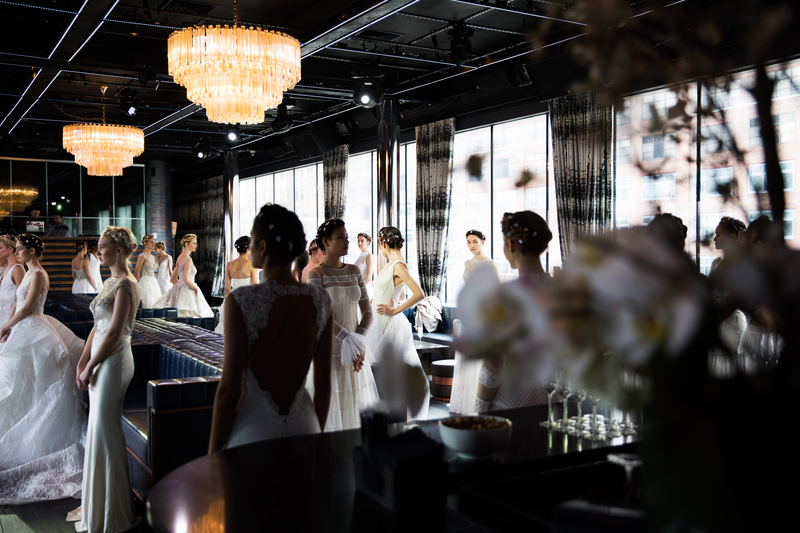 GEMY MAALOUF showcased her 2018 collection for New York Bridal Fashion Week at the PHD Rooftop Lounge Dream Hotel in Manhattan. Tailored for the unconventional bride, Maalouf’s collection captures a distinctive style that is an all around balance of modern, trendy and refinement. Her collections are fashion-forward yet intrinsically elegant and oozes sophistication featuring simpler cuts with a romantic flair. The pieces that had graced the runway were reworked in traditional notions of bridal through new combinations of sophistication and interpretation, completely reinventing the bridal gown. She uses unusual slits and placement of fabric fusing elements with contrasting materials creating a truly inspirational bridal collection. Intricate embellishments emphasize plunging necklines and waistlines with touches of light blues, pink and ivories offsetting layers of lace trimmed with embroidery. Dresses as these could make a trip down the aisle feel like a red carpet event. Spotlight of the Week: Ivory Couture Clothing Co.